The Primitive Shoes x Nike SB Dunk Low released last saturday, June 20th in limited quantities, with a retail price of $110. 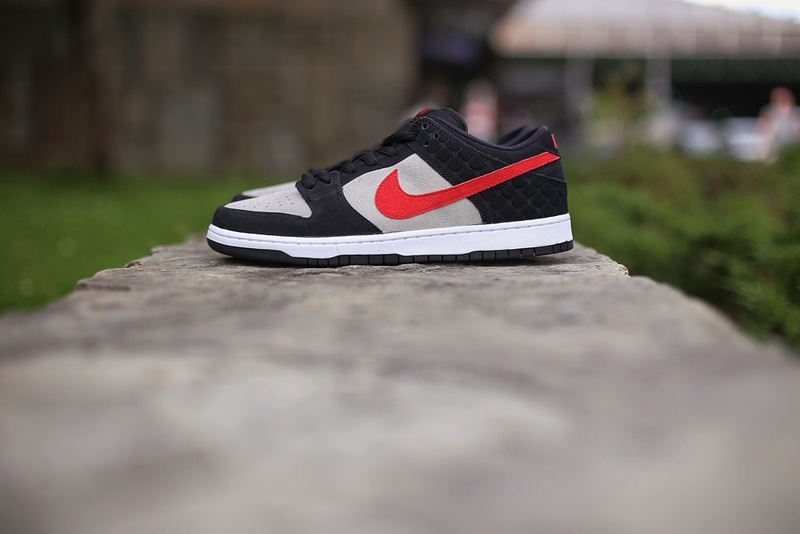 Nike SB Dunk Low "Primitive Shoes"
Nike Skateboarding and Paul Rodriguez have a long standing relationship that dates back 10 years to when P-Rod joined the Nike SB skateboarding team. Nike and Rodriguez's 10 year relationship has yielded 8 signature models, along with a slew of different variations of those models including Hightop versions, and vulcanized versions. In their latest collaborative effort, Nike finds themselves teaming up with P-Rod, but this time, the approach was a little different. This time around, the collaboration wasn't necessarily with Rodriguez himself, but with the store he is part owner, and President of Primitive. Primitive, which is located in Los Angeles, is a retail outlet that carries a slew of your favorite skateboarding brands, but isn't limited to just skateboarding product, they also carry your favorite Nike's and Jordan's, along with a nice variety of your favorite streetwear brands. For their collaboration with Nike, P-Rod and the team at Primitive took a look into the past for some design cues. It's the tenth anniversary of Rodriguez's first signature model with Nike, and after a retro of the P-Rod 1 earlier this year, Rodriguez used this collaboration as another chance to celebrated the anniversary. 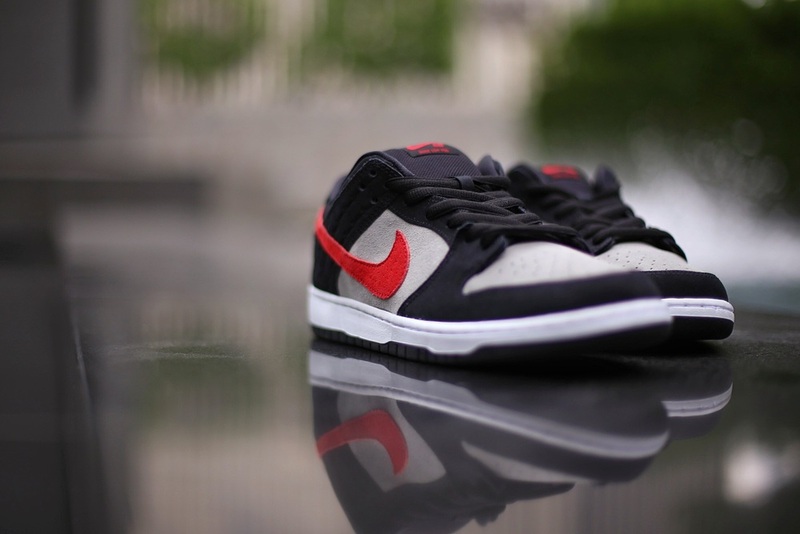 Rodriguez recreated one of his favorite colorways from his 1st signature shoe, Black, Red, and Grey colorway, on a dunk low. 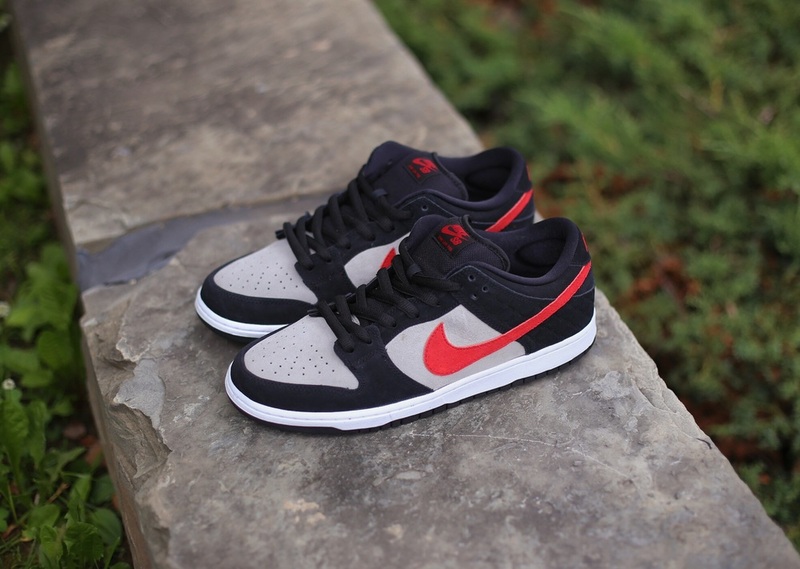 To really make the inspiration clear, Rodriguez included the signature PR moincur that appeared on his first signature model, which appears debossed around the heel panel on the dunk low. The Primitive Shoes x Nike SB Dunk Low released asa quick-strike last Saturday, June 20th with a retail price of $110USD. If you're on the hunt for a pair I'd check your local skate shop to see if they still having any in stock, or maybe try some of the popular online sites like Skate Park of Tampa, or The Premier Store. Check out some recent photos I shot after picking up the latest quick-strike offering from Nike SB, The Primitive Shoes x Nike SB Dunk Low, and let me know what you think, are you feeling this dunk that pays homage to P-Rod's first signature model with Nike SB?